Is it snowing in Mt Spokane Ski and Snowboard Park ?Thank you! 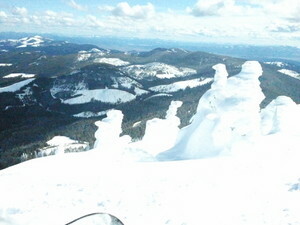 Mt Spokane Ski and Snowboard Park in the United States (Washington State) is a minor ski resort but it does boast a very impressive 629 metres (2065 feet) of vertical descent. We have no information about the existence of any cross country ski trails at Mt Spokane Ski and Snowboard Park.